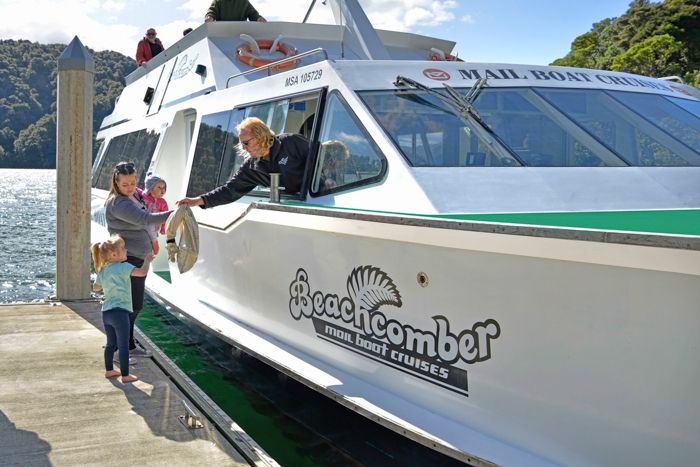 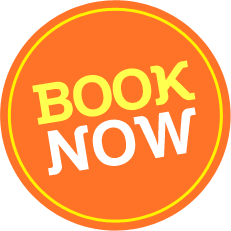 Beachcomber Cruises operate a variety of cruises on the Queen Charlotte Sound, offering some of the best views and insights into this spectacular part of New Zealand. 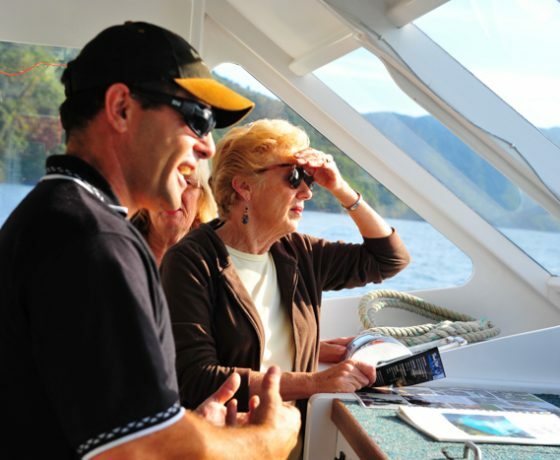 Join us on one of five cruise options, including the historical Ship Cove Cruise and the Motuara Island Bird Watchers Cruise, which attracts bird lovers from around the world. 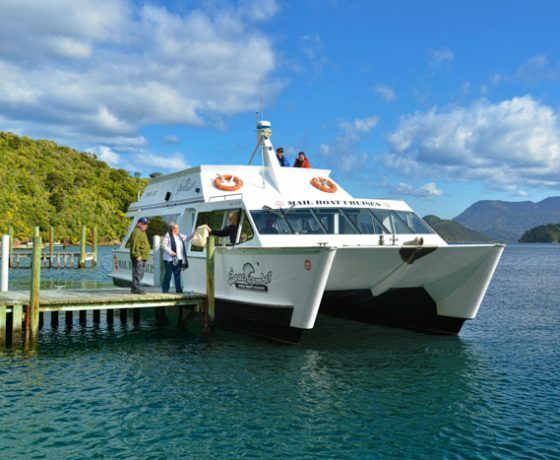 Marlborough Sounds – Ship Cove Cruise. 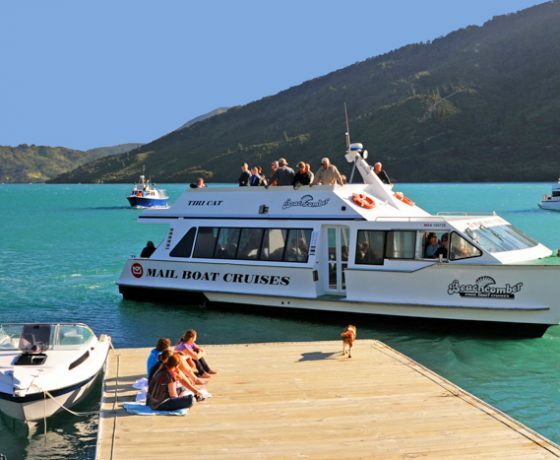 Departing daily from Picton at 9am, the half day Ship Cove Cruise is a great way to fully experience the scenic beauty of the Marlborough Sounds. 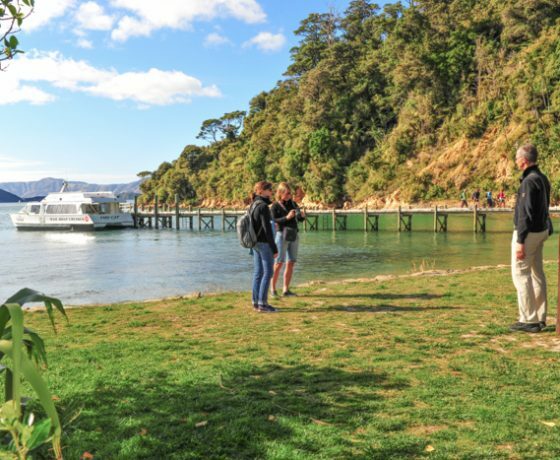 Learn more about the historical significance of the area, the people who live here today and enjoy an encounter or two with a variety of seabirds and wildlife along the way. 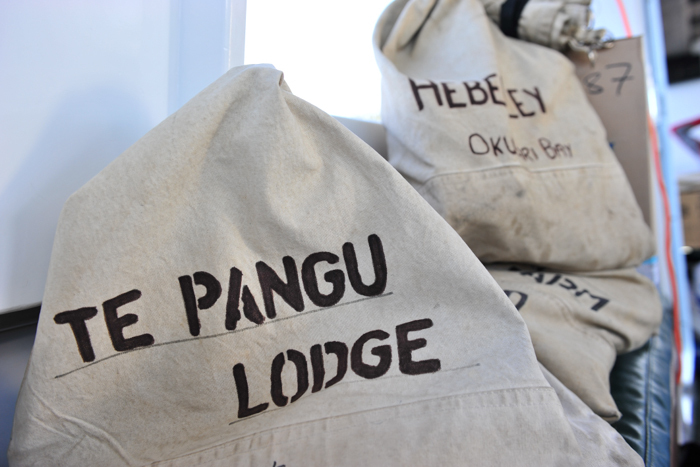 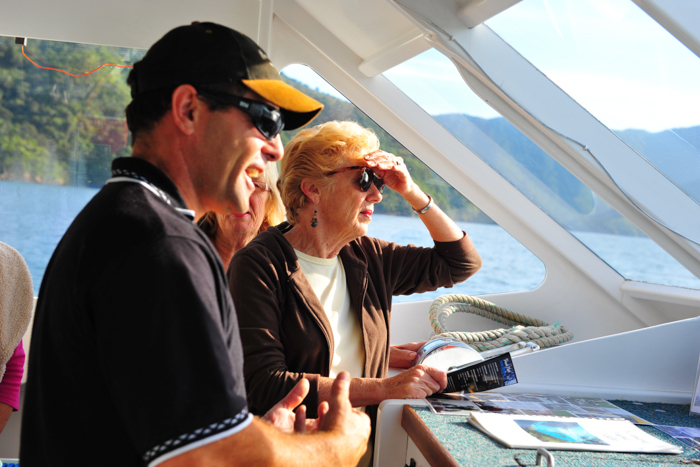 As the name of the tour would suggest the highlight of this cruise is a visit to Ship Cove. 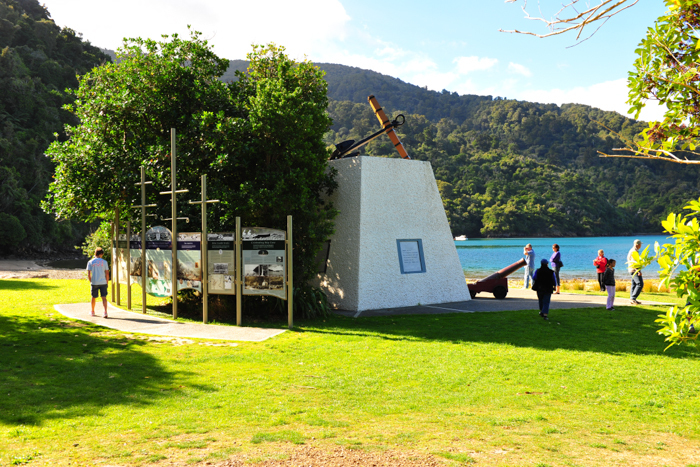 Ship Cove was named by Captain James Cook in 1770 when the ship ‘Endeavour’ anchored here to replenish supplies of food and water. 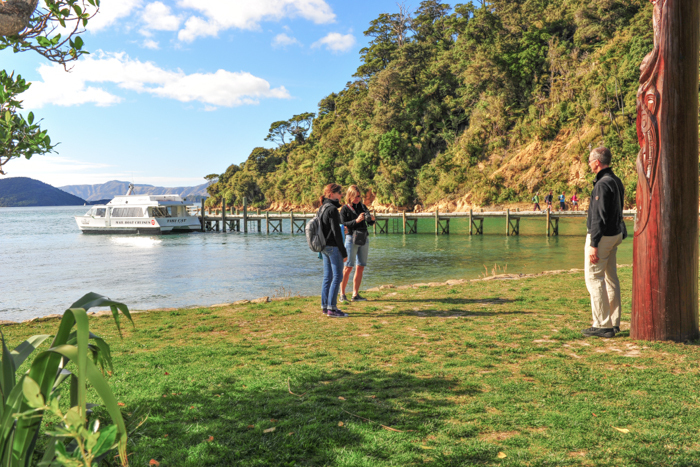 So enamored with this tranquil spot, Captain Cook would return here a further four times between 1770 and 1777. 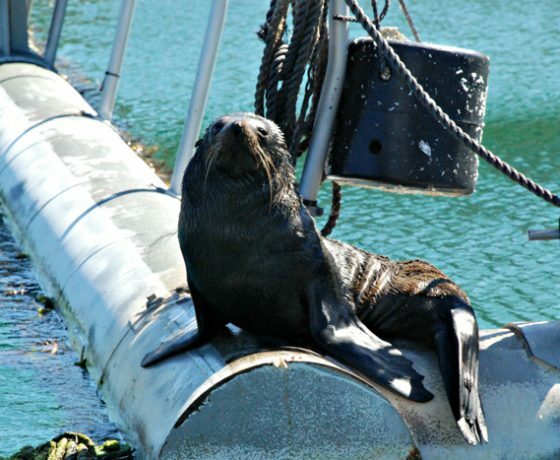 Today take the opportunity to paddle in the creek where Captain Cook made home brew for his crew, while the resident wildlife keep you company. 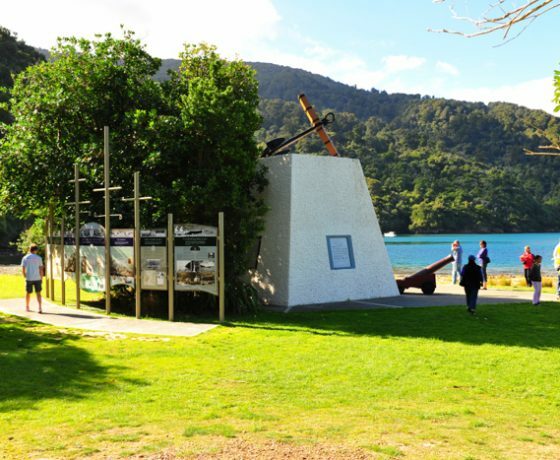 Snap a photo beside the Captain Cook Monument and read the information panels about his encounters with local Maori, or just walk along the beach soaking up the atmosphere. 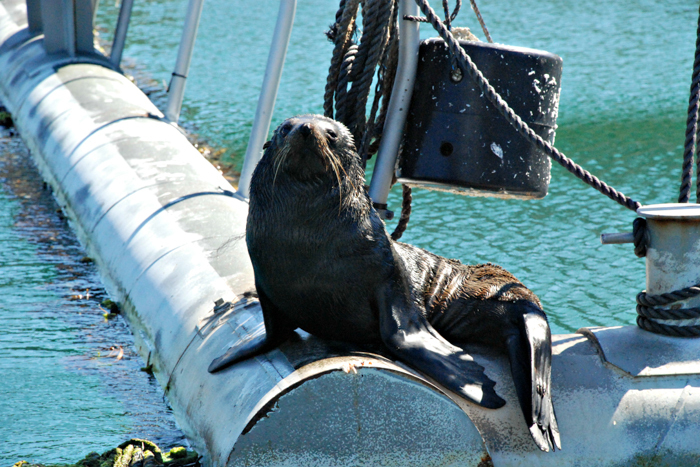 You will have a minimum of 30 minutes ashore at Ship Cove to explore. 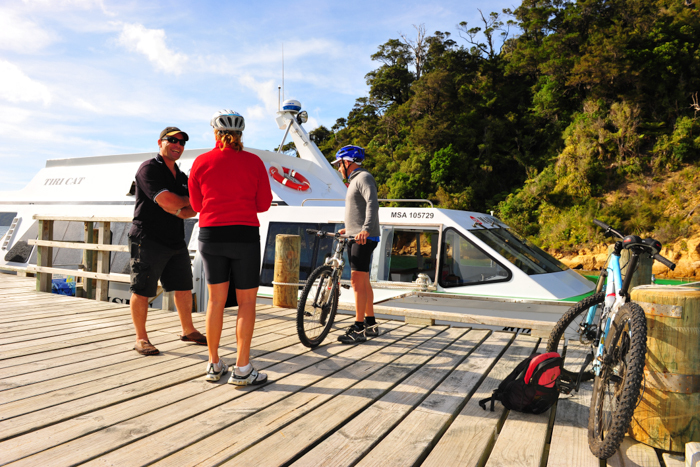 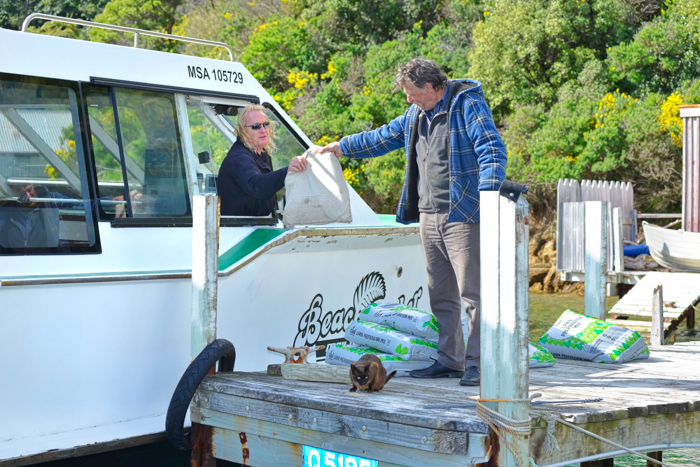 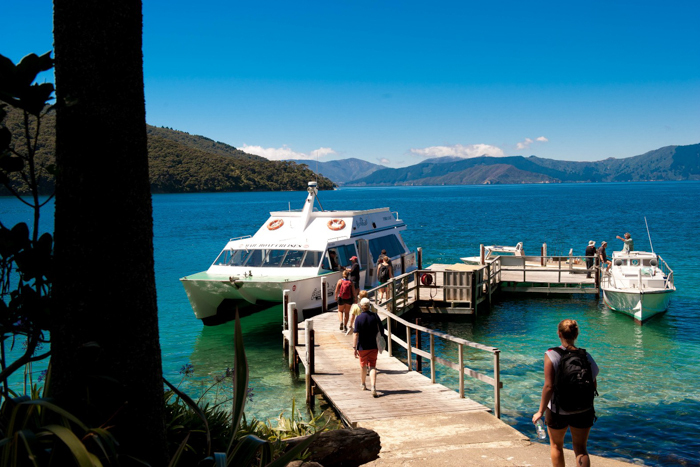 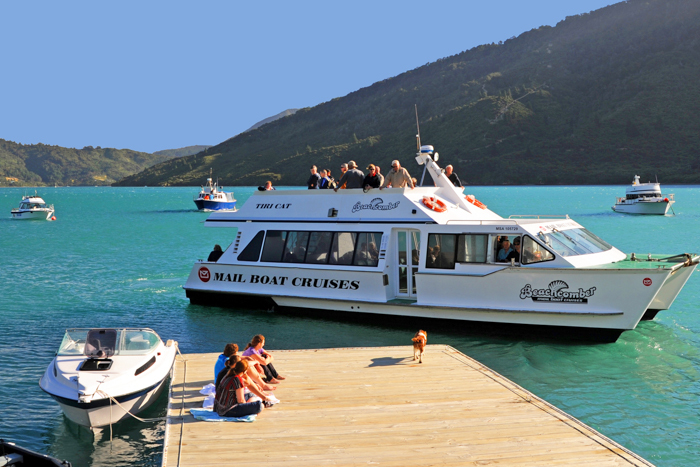 After returning to your vessel cruise onto Endeavour Inlet, dropping off guests along the way before returning to Picton to arrive at approximately 12.30pm. 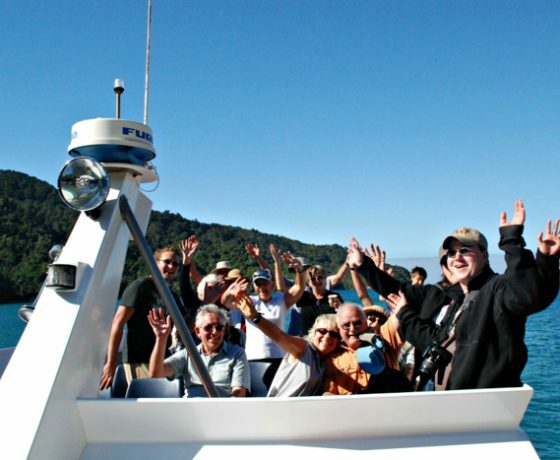 Marlborough Sounds – Half Day Motuara Island Bird Watchers Cruise. 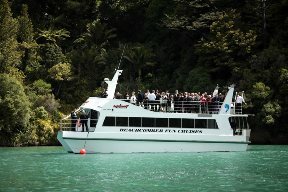 Motuara Bird Sanctuary Island attracts bird lovers from all over the world. 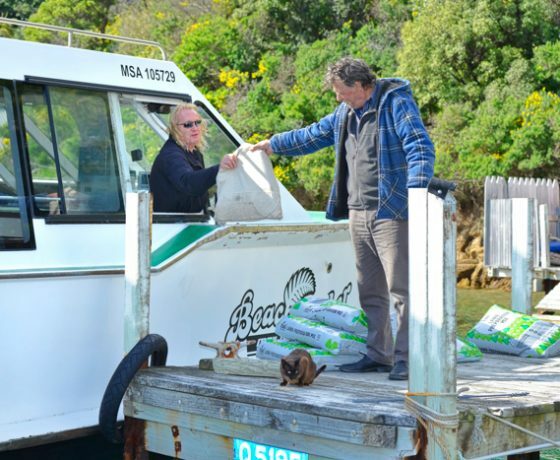 All introduced pests were removed in the early 1990’s and the island is now home to a variety of native species having struggled to survive, or died out on the mainland. 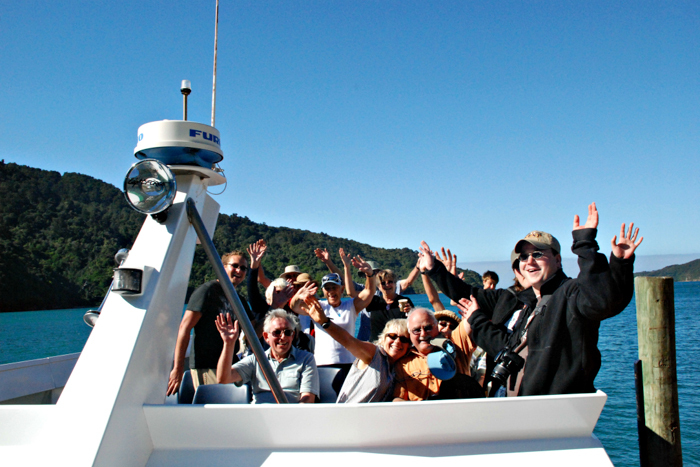 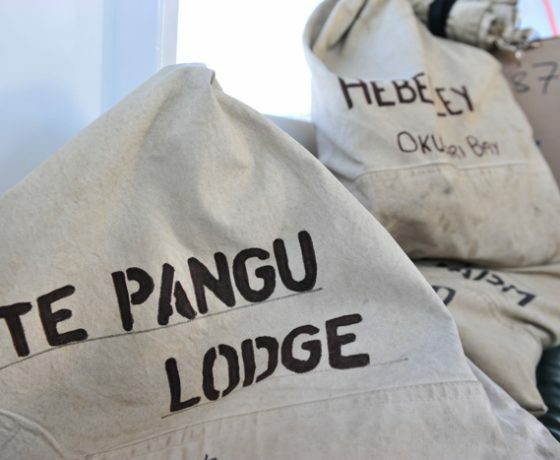 Many of these are critically endangered and this Island provides them with a secure future.. 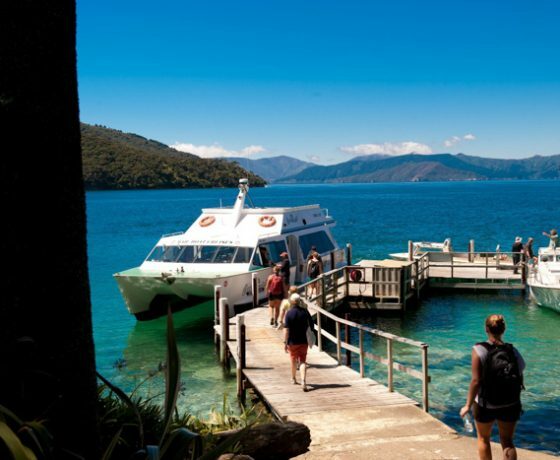 This predator free haven is home to some of New Zealand’s most iconic endangered native birds including the South Island Saddleback, the very rare King Shag, Little Blue Penguin and of course the Kiwi to name just a few. 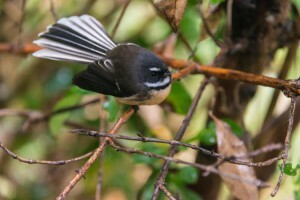 These exist alongside other New Zealand native birds and amphibians including the Silver Eye, Fantail, the Marlborough Green Gecko and the Maud Island Frog. 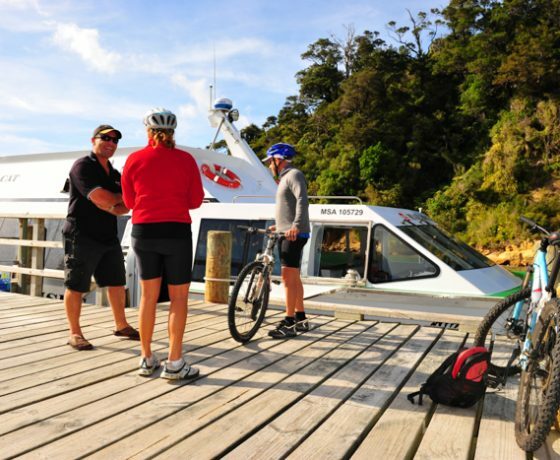 Follow the track to the Cook Strait Lookout, the highest point of the Island where weather permitting, you are treated to outstanding views across to Ship Cove and the North Island. 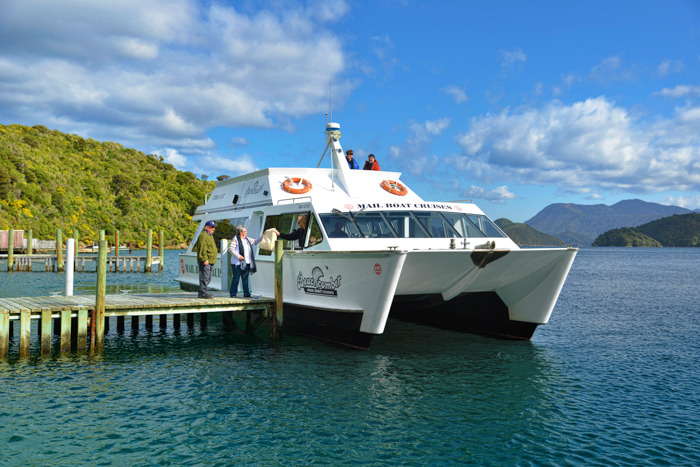 At the end of you time upon the island rejoin your vessel and continue to Ship Cove before returning to Picton. 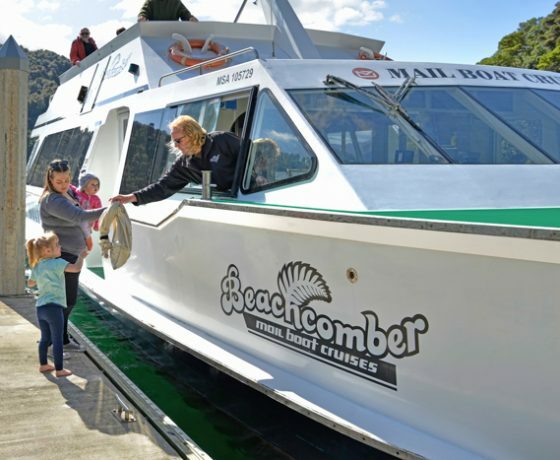 Join us at Beachcomber Cruises for an unforgettable cruise experience.